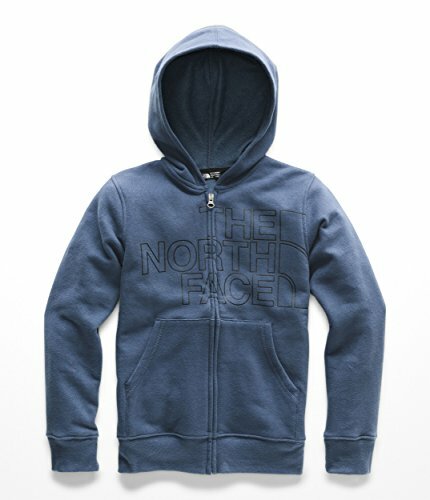 The North Face Size Chart Keep the Logowear Full Zip Hoodie close at hand and getting them out the door will be that much easier. Cozy cotton-poly blend. Fixed, two-panel hood. Full-zip front closure. Long-sleeve coverage. Split kangaroo hand pocket. Rib knit cuffs and straight hemline. 80% cotton, 20% polyester. Machine wash cold, tumble dry low. Imported. Measurements: Length: 17 1⁄2 in Product measurements were taken using size 2XS (5 Little Kids). Please note that measurements may vary by size.